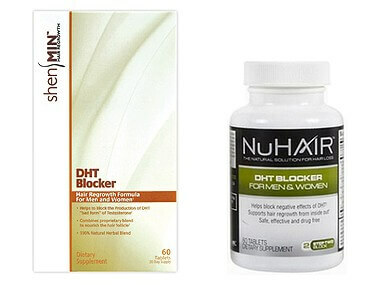 Some ingredients in the NuHair and Shen Min DHT Blocker products can cause side effects. This review explains the potential risks. As well as all these products, another brand called NuHair (or "Nu Hair" in the UK) seems to have an almost identical product range. The reason why is because both these brands have the same manufacturer and parent company (Natrol). 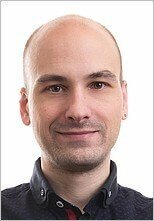 Does Shen Min DHT Blocker Really Work? Not surprisingly, just like any other hair regrowth product on the market, there are plenty of reviews which say it does. Both the Shen Min and NuHair products target production of DHT - the hormone most often associated with hair loss (androgenetic alopecia). And there do seem to be quite a few reviews in praise of the hair growth-promoting effects users have experienced. However, there are also quite a few Shen Min reviews warning about some worrying side effects. There is a potential risk of liver damage. All Shen Min and NuHair products carry a warning which states that, if you have liver problems, you should consult with a healthcare professional before you use them. That's because, one of the main ingredients common to all these products is the Chinese herb he shou wu (or fo-ti). He shou wu – Not good for you? Some Shen Min reviews do unfortunately suggest liver-related pain and problems can be caused (even on a low daily dose). And because all Shen Min and NuHair products contain he shou wu, if you were to take multiple products, at the dose they recommend, clearly your risk of side effects is even greater. For example, if you were to take the recommend daily dose of Shen Min DHT Blocker (2 tablets) and the men’s or women's formula (2 tablets) you’ll be putting a total of 850 mg of he shou wu into your body every day. Use the topical solution as well, and you’ll be adding even more! However, other reviews simply mention an improvement in hair growth (and hair pigmentation) which, of course, suggests no health issues at all. Finally, as you might already know, liver damage is often associated with high alcohol consumption. Clearly then, if you’re a heavy drinker, taking he shou wu is probably not a good idea. Shen Min DHT Blocker contains saw palmetto, a herb well known for blocking DHT production. But, just as high DHT levels are mainly associated with men, so too is saw palmetto as a possibly way to treat it. Many manufacturers include saw palmetto in their hair regrowth products. But whilst some do include saw palmetto in their products for women, others don’t. You can find out how Shen Min DHT Blocker compares with these other manufacturers’ products by reading my Saw palmetto oral supplements review. And to learn the reason why it might not be appropriate for women to take saw palmetto, read the saw palmetto side effects page. You can also compare some of the most popular saw palmetto topical lotions (including the Shen Min Topical) by reading this review. Possibly - having spent quite some time researching, I think it’s all a bit of a mess really! The ingredient list, dose, number of tablets contained in each bottle, and product price all seem to vary from one website to the next. Isoflavones can block DHT and, as such, could be an important active ingredient in this type of product. Now, some online retailers state that both the NuHair and Shen Min DHT Blocker products contain just 2.5 mg of isoflavones (some say that it’s derived from soy; others fail to mention where it’s from). 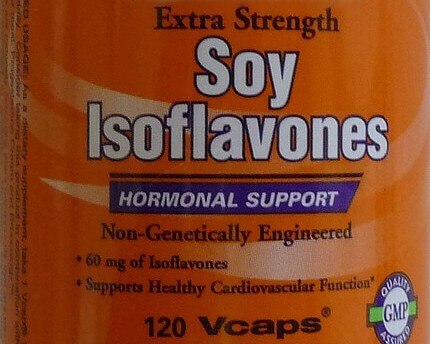 And some retailers state that there’s a further 17.5 mg of isoflavones from another ingredient: kudzu. Interestingly, the official Shen Min.com website states that its DHT blocker product contains 17.5 mg of isoflavones from kudzu, but doesn’t mention any isoflavones derived from soy (it simply states that there’s 6.25 mg of soy extract). So, overall, it seems to me that both these products contain 20 mg of isoflavones in total (2.5 mg from soy and 17.5 mg from kudzu). But, even if it is 20 mg, that’s still not a lot of isoflavones when compared to other products available (e.g., in the photo below you can see that this other product contains three times as many isoflavones per capsule). Most sites have images of both Shen Min and NuHair products containing 60 tablets per bottle, but some sites show the NuHair product containing just 42 tablets. And whilst price can obviously vary from one retailer to the next, it does seem odd to me that the official Shen Min website currently appears to sell its DHT blocker product at up to twice the price of other retailers – approximately $44 compared to $22 elsewhere. As already stated, saw palmetto is a well known ingredient for tackling hair loss. And, as such, it can be found in many products. And most of these manufacturers state exactly how much of each important ingredient their products contain. * Note: They do state the dose of their own "DHT Blocker Proprietary Blend" (which is 300 mg by the way) but this includes other ingredients combined with saw palmetto (i.e., phytosterols, pumpkin seed extract and quercetin. "I don't have that information. Because it's a proprietary blend we do not disclose the exact amount, but it is the second ingredient so it's a higher amount than the rest of ingredients that are listed after it." Calcium - A balancing act they might have got wrong? Certain minerals are, without doubt, very important for hair growth. These include selenium and zinc, both of which can be found in the NuHair and Shen Min DHT Blocker products. However, from the "Other Ingredients" list, another mineral very much seems to stand out: dibasic calcium phosphate, tricalcium phosphate and calcium silicate. Now, calcium might not be considered to be an active ingredient, but it’s still part of the formulation. So that could be a lot of calcium you’re putting into your body! Of course, calcium is an essential nutrient – e.g., for bone formation. But, to make sure it’s deposited in your bones and not somewhere else it shouldn’t, it needs to be balanced with correct levels of magnesium and vitamins D and K.
And, whilst some magnesium does appear in the "Other Ingredients" list, there’s no way of knowing how much is contained or how active it might be in your body. Are Shen Min and NuHair Products Completely Natural? Well, if they cause liver damage, no not really! And, clearly, there are other issues I’ve raised in this article which might also become problematic, especially if you were to take these products long term – which, for hair loss, you would need to do. It’s all well and good putting natural herbal extracts into your body to help with hair regrowth, but some of them can be as potent as drugs. And drugs are anything but natural. 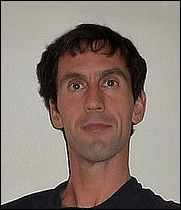 Personally, I prefer a "hands-on" approach to hair loss - Learn about my hair regrowth techniques?